If your commercial building features concrete construction, there are a range of potential issues you should be aware of. From remedying concrete spalling and cancer, to restoring concrete building façades, and the need for repairing or replacing balustrades, specialist attention is needed. Concrete spalling is a common issue in coastal environments due to carbonation and chloride levels. It regularly affects large beachside residential apartment blocks. We begin by undertaking a thorough assessment of the cause of your concrete spalling or cancer, before proposing a course of remediation. We then provide you with a detailed report of our findings and appropriate recommendations. To ensure all work is carried out to the highest of standards, R&BS works closely with engineers and architects, from our initial investigation of the concrete cancer or spalling right through to the final inspection of the completed works. The R&BS team specialise in repairing concrete spalling. We have developed specific systems to ensure there is minimal disturbance to the occupants of your building. Our team can gain access to the affected area of your concrete building via external scaffolding, swing stages, mast climbers or by abseiling. We believe precautionary measures make sound economic sense. Concrete cracks, spalling surfaces around balcony railings, and blistering paint are early warnings that you should seek advice on corrective repair action. If you notice signs of spalled concrete on your building, we strongly recommend taking action immediately – not in a few years’ time. We will thoroughly investigate the cause of damage, and detail the necessary procedures for rejuvenation. With early attention you can help minimise the cost of remediation. From low-rise suburban offices and warehouse facilities to high-rise, landmark structures, no building is too tall or too small for us to apply our expertise in the cleaning and sealing of brickwork, blockwork or render. R&BS’s restoration procedures will remove built-up grime from your building’s façade and restore its appearance. We can also repair exposed concrete floor edgesand repoint brickwork. Our team can also apply new technology coloured rendering to your building’s façade as a cost-effective way to enhance its appearance. By applying specially formulated polymers we will waterproof your building even as we revitalise its appearance. The most efficient way of planning the rectification of your building façade is to carry out a comprehensive report detailing its condition. 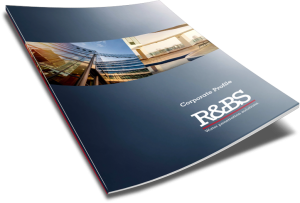 Using this report as a starting point we can provide you with a realistic scope of works, together with a cost estimate. When you’re considering replacing your building’s balustrading, call R&BS for a comprehensive assessment of the structural concrete around the balustrade fixing points. We will provide you with a proposal that will identify any necessary concrete repair works, and set out the replacement balustrading options that are available for your building. Remember: if cracking and spalling concrete or corrosion is evident around the supporting posts of your balustrading, seek an assessment from R&BS. Not only is there an increased chance of balustrade failure and risk of injury, but also of moisture entering and weakening the support’s structural integrity, leading to the need for extensive and costly repairs to the concrete slabs. Often the inspection or replacement of balcony balustrades reveals that there is a serious issue with the structural concrete and render around the supporting posts. This is closely related to concrete spalling, and usually uncovers larger areas of deterioration of the substrate due to prolonged moisture ingress around the post, or reactions between dissimilar materials. What’s more, often the balustrade fixing posts are connected to the steel reinforcing in the slab. This can create severe problems, with the potential to weaken the structural integrity of the concrete slab when corrosion and spalling occurs. To address this situation, R&BS can work closely with your balustrading provider during replacement to identify, report on, and rectify these issues. We offer to manage the complete project, from the removal and disposal of the existing balustrades to the replacement of the new (including all the structural and cosmetic repairs and painting). R&BS can also facilitate the installation of a range of different balustrading materials, including powder-coated aluminium, glass infill panels, galvanised and stainless steel rails. For a customised proposal for your business or premises, call R&BS now on 1800 550 037 or fill out the contact form below for a fast response.